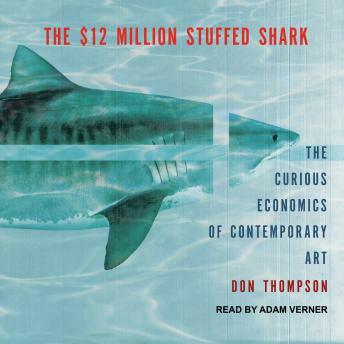 Why would a smart New York investment banker pay $12 million for the decaying, stuffed carcass of a shark? By what alchemy does Jackson Pollock's drip painting No. 5, 1948 sell for $140 million? This book is the first to look at the economics and the marketing strategies that enable the modern art market to generate such astronomical prices. Drawing on interviews with both past and present executives of auction houses and art dealerships, artists, and the buyers who move the market, Thompson launches the listener on a journey of discovery through the peculiar world of modern art. Surprising, passionate, gossipy, and revelatory, The $12 Million Stuffed Shark reveals a great deal that even experienced auction purchasers do not know.